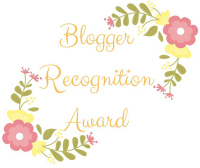 If you love pets, which I’m assuming you do because you found my blog, I will be nominated my top 15 pet related blogs for the Blogger Recognition award. They were chosen for their articles, great photography, and overall awesomeness. These are blogs I truly love! If you want to find more amazing pet blogs, read on! Why Did I Start For The Love of Paws? I created my blog, For The Love of Paws, because I have such a passion about natural pet care. I got a certificate in holistic pet care to further my education on the matter, and truly devote my life to it. 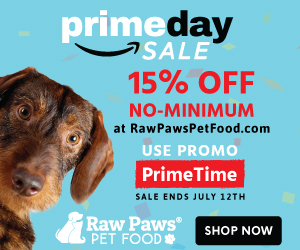 I started feeding my dogs a wholesome diet, and wanted to share the message to other pet owners that there is more out there for their dogs besides kibble, and how it can benefit their lives! I am still fairly new myself, so I don’t know that I’m the best to be giving advice but I would say to keep writing!! Even if you don’t publish the post, write one anyway. Just for the experience. That’s what I try to do, always keep my fingers moving. I could be biased and say I picked her because she’s a new friend of mine and she’s been such a mentor to me throughout the whole blogging process, but I’m not going to. Her blog is actually incredible, the design is on point, and her articles are thought out. If you are obsessed with cats, this is the blog to see! I absolutely ADORE this blog, and her Newfies are too cute. I wish we lived closer so we could have a play date with our pups! She always has the best photos, and dog related content that even the small dog owners can relate to. Carol’s blog is one of my favorites, hands down. She is not only a blogging wizard, but she really relates to the dog owner. Her blog is based around the Cocker Spaniel in her life, but is relatable to all dog’s alike. Check out her recent article on the dangers of dog shampoo! This blog is perfect if you have a multi-species family! She writes articles about dogs and cats, and I even wrote a guest post on her blog with my recipe for doggy ice cream. Check it out and subscribe to her blog! I cannot visit this blog without smiling the instant her photos load. That doodle face is everything! Whether you have a Goldendoodle in your life, or just enjoy dogs of all kinds, her blog is worth seeing. She has great articles, and her photos are always high quality. See her recent post about how you know your dog is truly family! I adore this blog. She covers all this pets and animals (hello, horses!) but also writes personal articles. I have linked one of my favorites, My Daughter Is My Hero! Go check it out and send her some love. This is a fun blog for all you cat lovers out there. She has cat diaries, news, product reviews and more! They are going to be hosting a video contest so if you are a pet blogger or enthusiast then go ahead and enter. Yet another cat lovers dream, this blog has it all! She posts amazing product review, flashback photos, travel adventures (yes – her cats travel) and more. Be part of her KCC team, and send her some love! This is my absolute favorite blog for pet travel! Her dogs go everywhere with her. Hiking, hotels, you name it! She has the coolest gear and amazing tips for traveling with your pets safely, so please check her out! Her latest post is about staying in a hotel with your pups. Aimee is not only awesome, but she’s a MASTERMIND. We had the pleasure to interview her for our blog as the Mastermind Behind Darwin’s, because she is literally on all their social media channels, but she also has her own blog to check out! 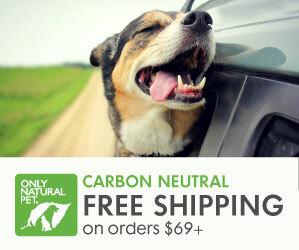 She speaks of raw feeding, and other natural dog related themes! Give her some love. Kimberly was one of my inspirations for starting a blog about raw feeding/holistic pet care. I’ve been a follower of hers for a little while now, and I am always looking for her to post something new. Check out her latest post on the 5 things raw feeders need to know. This is another great blog for the animal lover in you! She not only blogs about all different types of animals, but she owns them too. She has informative articles, photos, and more. Check out her latest post about military dog breeds in history! This is one of the best blogs out there if you love dog photography! She highlights only the best photographers around and give them a spot to highlight their talent and show off those adorable pups. Check her out! Last, but not least, is Mr. N’s blog! He is a terrier that I am obsessed with, and I love when they put out a new post or photos on their Facebook page. Their content is informative, adorable, and fun! Say hi to Mr. N for us! Thank you sooooo much for including me Shelby!!!!! Your nomination was well-deserved and so glad to call you my friend!!!!!! You are welcome to add a inky to the #DKVideo challenge if you want to!! Aww, thanks so much for including us, and thanks for your kind words! We love your blog too – the award is well deserved for sure! Looking forward to seeing more great things from you! Congrats on the nomination! And thanks for the list – some great ones there! Congrats to the nominees. New blogs to follow to learn some great lessons on blogging. Awwww! Thanks for the nomination of Bridle & Bone! I don’t think I’ve ever been nominated for anything before *tear of joy*. Congratulations everyone! Congratulations on such a well deserved award! We recently adopted a rescue puppy and now would be a wonderful time to peruse new pet focused blogs. Thanks for the suggestions! Congratulations on your feature! I like the advice you gave to new bloggers, to just keep writing. What a happy surprise! Thank you so much for the kind words and for nominating Happy-Go-Doodle. It’s inspiring to read your posts and learn more about the passion you have for pets! Wow, what a wonderful surprise! Thanks for including us!